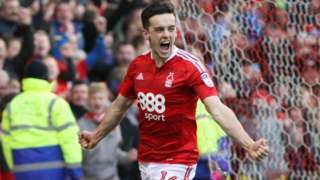 Zach Clough scores his first goals for Nottingham Forest as Brighton miss the chance to go the top of the Championship. Thanks for joining us, we'll be back tomorrow with all the latest news, sport, travel and weather. In the meantime you can get in touch on Twitter , on Facebook , or by sending us an email . The Air Accident Investigation Branch (AAIB) is due to publish the official report into the cause of the Shoreham Airshow disaster on Friday. The families of the 11 victims have been shown the final conclusions ahead of its release. Plans for a new "garden village" in Surrey could force an air ambulance service to relocate, it is feared. Redhill Aerodrome is one of five sites shortlisted for the 4,000-home development. 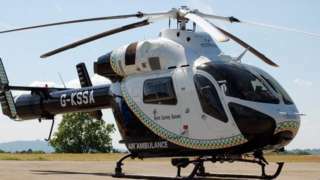 Bosses at the Kent, Surrey & Sussex Air Ambulance Trust (KSSAAT), which is funded by donations, fear it could cost up to £10million to find a new base. The proposals are part of Tandridge District Council's plan to meet government housing targets. The families of the 11 men who died in the Shoreham air disaster have gathered for a private briefing today, before investigators publish their final report. The Air Accidents Investigation Branch will give conclusions tomorrow. Its report will not apportion blame but is set to look at the cause of the crash and make safety recommendations. The air ambulance's base is in one of five areas being considered for a massive housing development. Looks like we had the best weather of the week today - the weekend is looking unsettled with scattered showers. Here's my forecast. Hopes of a new mainline from Brighton to London have been dealt a massive blow after a government report said there was a "poor transport case" for the idea. Campaigners had hoped to reopen the line between Uckfield and Lewes. However, a report commissioned in the July 2015 budget has said the best way to tackle congestion on the current mainline is to make improvements around Croydon. “ The report was finished last April, but has only just been published. "It says rising demand can be met by de-cluttering the existing Brighton Mainline at Croydon, and that the case for other projects, like BML2, is poor. 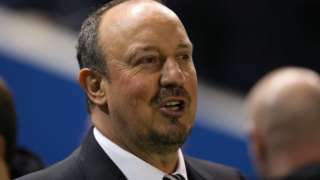 Newcastle manager Rafael Benitez says the Championship title is far from decided, despite Tuesday's 2-1 win at Brighton. A man from Eastbourne who was sent to Australia as a child, has spoken out about the abuse he suffered while over there. David Hill has been giving evidence at a child abuse inquiry that commenced this week. Police are looking for a Crowborough man who's wanted on recall to prison for breaching the terms of his licence. Stephen Durrant, who's 25, was released in July 2014, after receiving six years for possession of an offensive weapon. 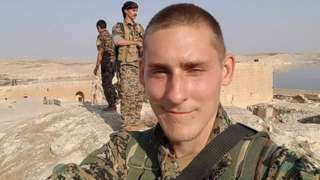 The former chef died fighting with Kurdish forces against the Islamic State group. Thanks for sending us your brilliant World Book Day photos. Can you can spot your little Harry Potter, BFG or Cat in the Hat in this montage? Lewes MP Maria Caulfield has entered the row about the A27 in Chichester. She says the scheme was cancelled because of a lack of leadership and community cohesion. She's heavily involved in a separate scheme to upgrade the A27 in her constituency between Lewes and Polegate - and she's calling on residents to make sure the same doesn't happen there. Quote Message: The cancellation of the Chichester scheme was the result of a complete lack of a coherent vision of what the area wanted from the upgrade, mainly due to an absence of community cohesion and leadership. As the Chairman of the A27 Reference Group, I refuse to let this happen to us with the Lewes to Polegate stretch. The cancellation of the Chichester scheme was the result of a complete lack of a coherent vision of what the area wanted from the upgrade, mainly due to an absence of community cohesion and leadership. As the Chairman of the A27 Reference Group, I refuse to let this happen to us with the Lewes to Polegate stretch. Success can only be achieved if there is full co-operation between all of us and that we approach it with an effective and unified strategy. A27: Did councillors really withdraw their support for Chichester scheme? As we reported yesterday, Transport Secretary Chris Grayling has cancelled the £250m A27 upgrades at Chichester. In his letter to Highways England, he said his decision was, in part, due to a loss of support for the scheme by local councils. In his letter, Chris Grayling pointed to "the withdrawal of support by local councils" as a reason to cancel the scheme. Image caption: In his letter, Chris Grayling pointed to "the withdrawal of support by local councils" as a reason to cancel the scheme. That's not how the councillors see it. A row is now emerging as council leaders feel Chris Grayling has misrepresented their views. Chichester District Council voted in September to support one of the options recommended by Highways England. They've since called for a new consultation, but never withdrew support for the scheme itself. And council leader Tony Dignum has issued a statement , effectively saying Chris Grayling misrepresented the council's position. Quote Message: The district council had sought a rerun of the consultation to include a wider range of options than those offered by Highways England. The council also was not satisfied that any of the online options as presented, satisfactorily addressed access to and from the Manhood Peninsula and the A27. The district council had sought a rerun of the consultation to include a wider range of options than those offered by Highways England. The council also was not satisfied that any of the online options as presented, satisfactorily addressed access to and from the Manhood Peninsula and the A27. "Contrary to the Secretary of State's statement, the district council did not withdraw its support for Highways England Option two, subject to significant mitigations, nor have we withdrawn our promised over £12 million share of the funding." And then there's the County Council. Yesterday, Tory leader Louise Goldsmith told me she'd recently written to Chris Grayling making it clear she still supported the upgrades. Here's that letter - which I've highlighted. I'll let you be the judge of whether these two councillors can be said to have "withdrawn support" from improving the A27. We have, of course, approached Chris Grayling for a comment, and we'll let you know if he gives us one. It looks like today was the best day of the week - and watch out for tomorrow morning's commute. Plans to spend millions of pounds redeveloping Bognor seafront have been published. The Regis Centre would be replaced by a winter garden and a new theatre, with new homes on the site of a car park. The seafront itself could see a new hotel, restaurants and a roof garden and performance space above the new theatre. Arun District Council says £100m in investment's already been secured for the project. Worthing Borough Council can go ahead with its planned redevelopment of the redundant Aquarena swimming pool building, after the government decided not to step into the planning process. The Secretary of State has decided the council can grant planning permission for the seafront site to be turned into homes, businesses and leisure facilities, with 42 of the new apartments being affordable. This video shows the moment a care worker from Littlehampton stole money from a pensioner she was looking after. Theresa Stratton, 39, stole £130 from the wallet of 74-year-old David Skerritt at his home in Rustington. Her family recorded the theft on CCTV and have given the BBC the footage.